The Federal Tort Claims Act places strict limitations on the remedies military members may pursue when they have suffered injuries due to medical malpractice. Prior to filing suit against the government pursuant to a medical malpractice cause of action, members of the military are first required to file an administrative claim against the agency they believe caused the harm. Of critical importance is the fact that cases may be brought only if the allegedly responsible government employee was working within the scope of their official capacity at the time of the events at issue. Military members on active duty are not permitted to file medical malpractice suits, though they are able to do so on behalf of their children or spouses who are not on active duty and who have been injured due to medical malpractice at a military facility. Military retirees are eligible to file claims for injuries on their own behalf. It may be possible through the Military Claims Act for non-active duty individuals to file claims for injuries received at U.S. military hospital facilities located abroad. 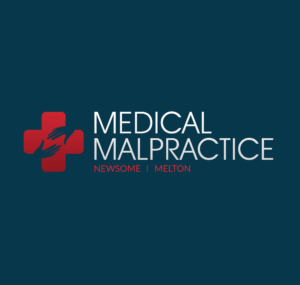 Medical malpractice claims require a plaintiff to demonstrate that it was more likely than not that a healthcare service provider’s acts or omissions directly caused their injury or their death. Plaintiffs must offer expert testimony in support of their claims. Active duty military personnel who receive injuries due to the negligence of a military contractor, are permitted to file a traditional civil suit, since the potential defendant is a private entity rather than an agent of the government. The “Feres Doctrine” is a significant exception to the requirements of the FTCA established by the United States Supreme Court in the case of Feres v. United States. In essence, the doctrine holds that the federal government may not be held liable by any active duty service member injured due to negligence. Aggrieved parties must pursue an administrative claim within the agency alleged to be responsible for their injuries. Claims must be filed within two years of the event at issue, and the United States Attorney General and United States District Attorney must receive notice of the claim as well. Claims must specify the precise damage award being sought. After the government receives the claim, it has a 6-month window in which to conduct an investigation. A federal judge will make a final ruling on the merits of the claim, but if a decision is not made within six months, plaintiffs are free to pursue their case in a traditional manner in federal court.